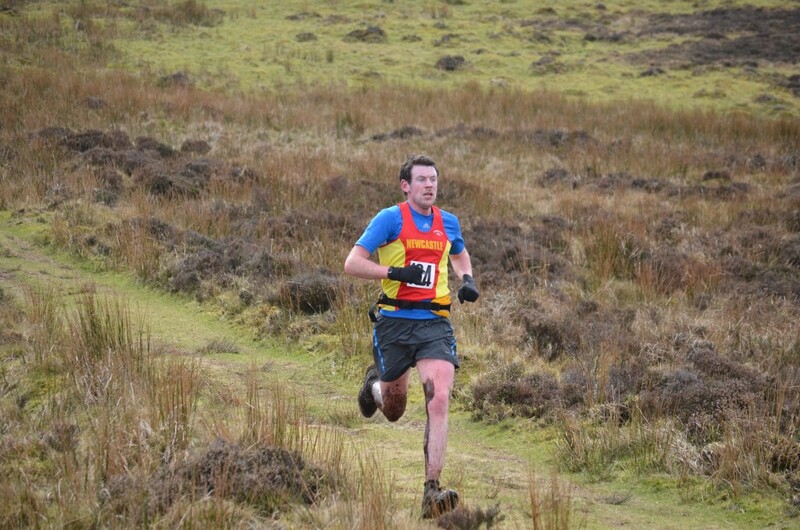 The Northern Irish hill running season started today with the traditional opener over Slieve Gullion. 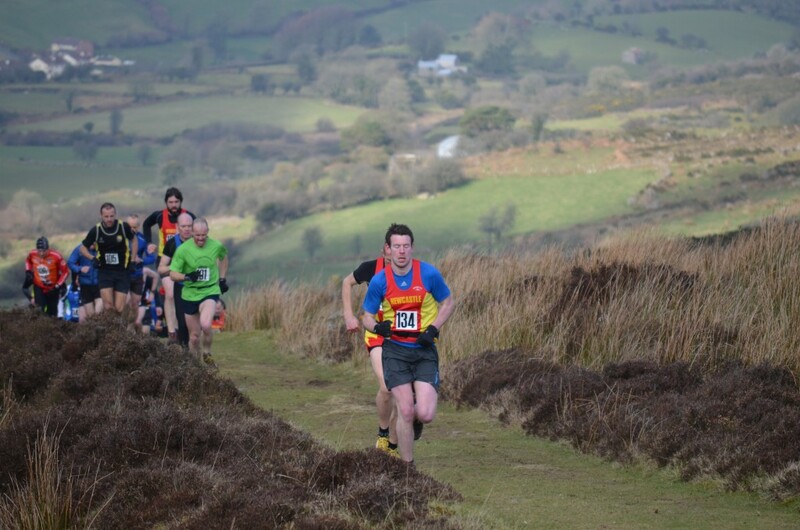 In recent years this race has started south of the hill in the main Slieve Gullion Forest car park and climbed up to the top of the southern cairn. Unfortunately the woodland diseases that have been plaguing our favourite beauty spots are now in South Armagh so the race route was moved to it’s older location starting from the north of the hill. 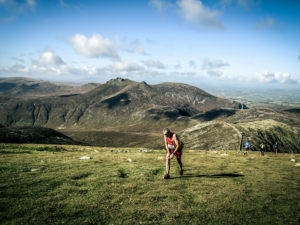 The route took runners from the Ballard Road along the Ring Of Gullion Way up to the southern cairn via the northern cairn before retracing their steps. In reality this meant running the first stretch on a soft grassy lane which gradually kicked up; this led to steeper ground with a good mix of rocks and mud which took you up to the northern cairn. 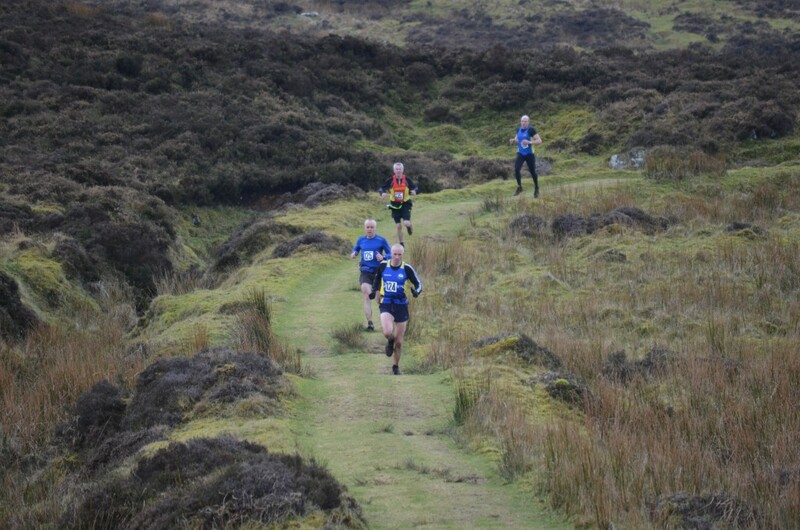 On top it was misty so runners had to take care to stick to the well worn path as it is easy to go astray on Gullion – as many of last years runners will atest. The run across to the southern peak involved tackling a lot of rutted paths and trying to avoid losing your shoes in the muddy sections of peat bog. The way home was fast, but technical, with plenty of runners trying on mud packs as they slipped on the greasy grass and muck. There was a good turnout of runners from all the clubs you would associate with such an event: Newcastle AC, Mourne Runners, Dromore, Lagan Valley, Larne, East Coast, and Ballymena Runners. When the racing got under way the Newcastle pair of Deon McNeilly and Seamus Lynch started hammering away on the front. They were closely followed by the host club’s Paul McAnespie and another Newcastle man, Colum Campbell. As the race edged towards the top Seamus was just pharmacy online without prescription ahead of McNeilly and McAnespie, whilst Colum is reported to have lost time in the mist. After the turn Lynch showed his form and pulled away for his second race win in 2014. It appears that age is not hampering Deon McNeilly’s running that much and he finished in second place with McAnespie making up the top three. 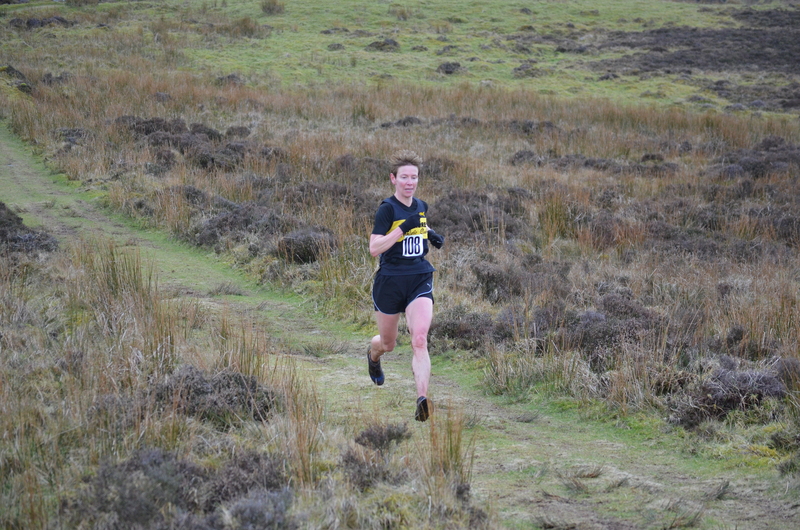 In the ladies race Diane Wilson blasted her way to the top ahead of Shileen O’Kane and Sarah Graham. There was no stopping Diane, last years NIMRA champion, as she came down with aplomb to claim her first win of the season. Shileen O’Kane and Sarah Graham finished in second and third respectively. Hats off to Sarah who is a relative newcomer to hill running and was also going to play a game of hockey in the afternoon. It was a great mornings racing, even if the first full on run up a hill can be quite a shock to the system after a winter spent eating buns and watching the idiot lantern. Thanks to Armagh AC for hosting the run and laying on a good post-race spread for the hungry masses. The next event is the Glenariff ‘Potato’ race on Saturday March 15. This will be the first test in the NIMRA championship. To qualify for NIMRA championship points you must be a NIMRA member. You can sign up online today. 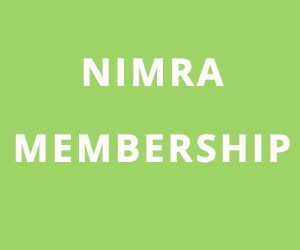 For all details about NIMRA membership and upcoming fixtures see www.nimra.org.uk. We look forward to seeing you all soon. The Full results can be found on the results page.